With two different central vacuum lines, a variety of accessory kits and other vacuum add-ons. We have all you need to create yourself a happy, healthy home. Central Vacuums, has any subject been discussed in as much in detail with as little understanding? With the myriad of information available, performance specifications, marketing tactics and misinformation available it is little wonder central vacuums and vacuum cleaners in general are still misunderstood. Cana-Vac has designed two series of central vacuum systems that have all the power, suction, and warranty you'll ever need for your size of home and lifestyle. We've made it easier for you to choose the right one for your specific needs by grouping them in our Signature™ and Ethos™ line ups. It's as easy as 1,2,3. We work with a 3 step process when choosing a central vacuum. Choose between our 2 central vacuum lines. Signature™ with premium tangential bypass and Ethos™ with an affordable Thru-Flow motor. Choose between one of our accessory kits. We know vacuums and it shows. 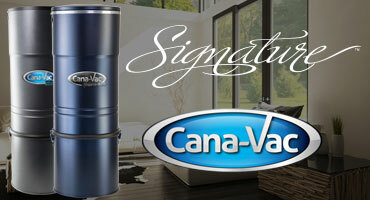 Learn more about the benefits of buying a Cana-Vac central vacuum system for your lifestyle. A central vacuum system with outdoor exhaust removes 100% of all viruses, pollens, and bacteria and expels them safely out of your home. According to a clinical study at the University of California at Davis, a central vacuum system reduces allergy symptoms by as much as 61%. With up to five times the power of a conventional vacuum cleaner, a Cana-Vac central vacuum system will help keep your carpets looking newer. Unlike a canister vacuum, a central vacuum system is an economical investment in the resale value of your home whether it’s newer or older. 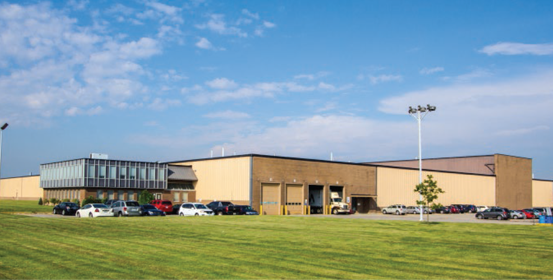 Founded by Leonard Budd in 1970, Today, Cana-Vac Systems Inc, is Canada's largest central vacuum manufacturer with a combined manufacturing space totaling over 3.5 football fields. Where can I purchase a Cana-Vac Central vacuum system? How do I get my central vacuum installed? Installing a central vacuum isn't as difficult as you think. A majority of our Cana-Vac dealers offer professional installation services along with the purchase of a central vacuum. Be sure to ask your local dealer about installation options. 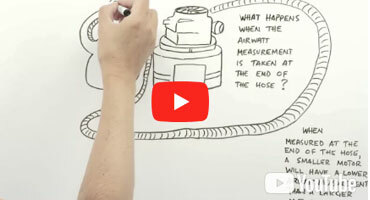 What makes a Cana-Vac central vacuum different from its competitors? 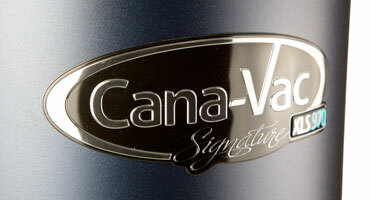 Cana-Vac Signature™ models utilize the highest grade of motors in the vacuum industry today! Most of our competitors use standard lower priced Thru-Flow motors where as Cana-Vac Signature utilizes premium heavy-duty Bypass motors at comparable prices that are proven to last longer. Cana-Vac also offers exceptional value on our Ethos line. With standard Thru-Flow motors at prices often lower than our major competitors. With Cana-Vac you are getting more for your money! You can learn more about central vacuum motors in our buyers guide. © 2015 Cana-Vac Systems Inc. All Rights Reserved. Developed by Cana-Vac Systems Inc.